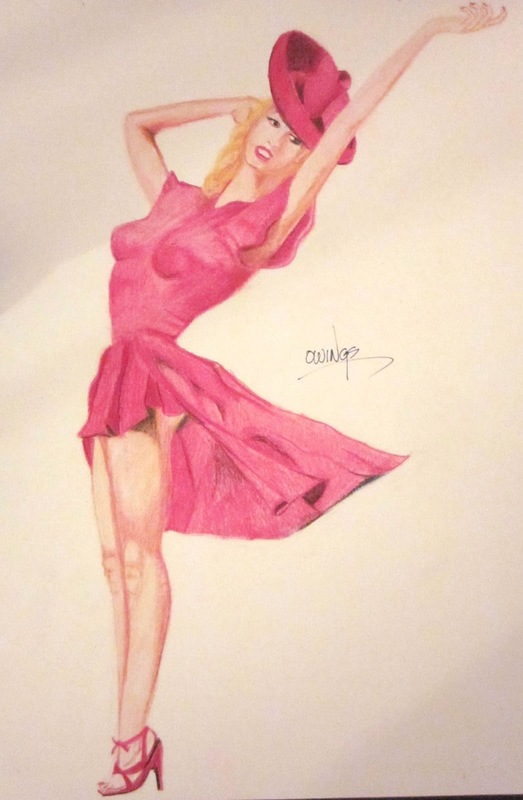 Pin up girl #17 in Red Dress. My blender kept breaking until I finally just used the broken pieces to finish this drawing. The original I used for a reference was done by Alberto Vargas, one of the greatest pin-up artists of the twentieth-century.